With Guardians of the Galaxy Vol. 2 coming out soon, I thought it would be a good idea to list my favorite top 15 Kurt Russell movies. He’s definitely one of my favorite actors and has so many good roles over the years. 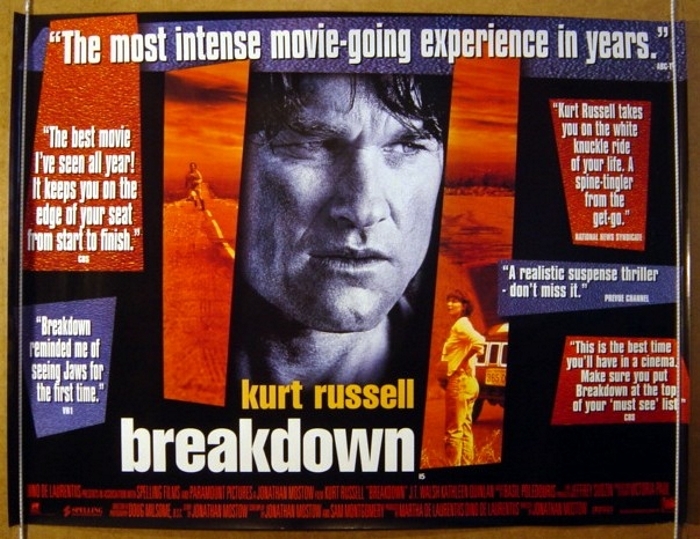 Now leading up to the release of this film, Kurt Russell was a Disney name. My brother and I were 10 years old when this film was released and Kurt was our favorite Disney actor, so of course, my Mom took her twins to see Used Cars as soon as it came out…only to walk out of the theatre halfway through, shocked…she never realized it was rated R. Definitely not a Disney film. I have seen it since as an adult, and I can appreciate the film now, but back then, not so much. I am glad that he did this film early on as he had to break the Disney mold somehow, otherwise he would have never done some of his later great films as an adult. This film was shot in and around Mesa and Scottsdale, Arizona, and we moved there when we turned 15 years later and recognized many of the locations. The film was directed by Robert Zemeckis and executive produced by Steven Spielberg. The movie is about the owner (Jack Warden) of a struggling used car lot, who is killed. 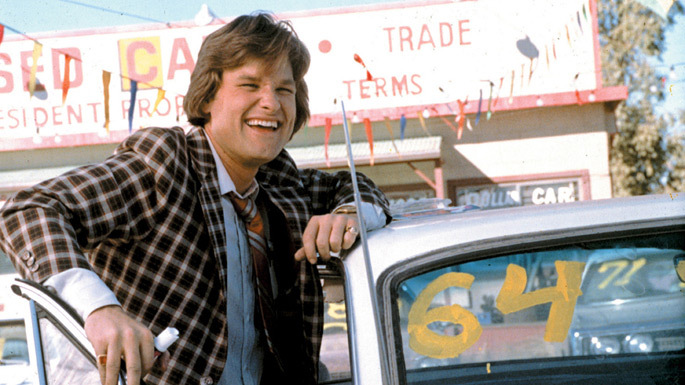 His hot-shot car salesman (Kurt Russell), wanting to keep the car lot going and to save his job, steps in to save the property from falling into the hands of the owner’s ruthless brother and used-car rival. 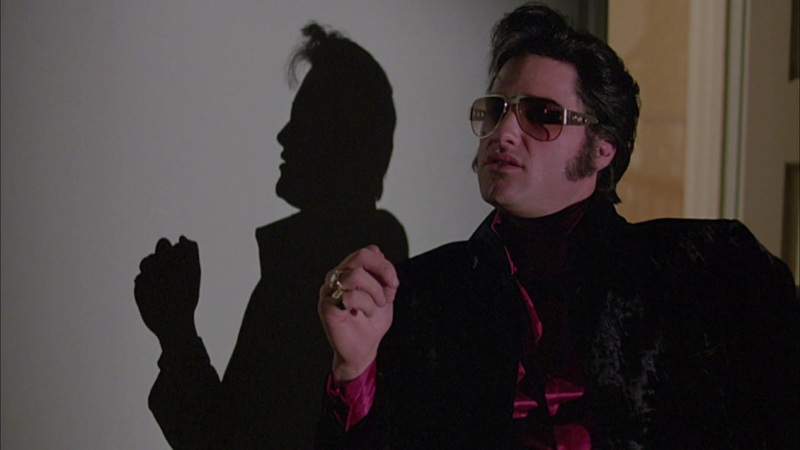 Shot the year before by director, John Carpenter, Elvis would be the first pairing for the director and Kurt Russell. They would go on to make four more movies together. Kurt Russell made his initial film debut in It Happened at the World’s Fair (1963) which starred Elvis Presley. According to Russell, Presley was 27 years old when he did “…World’s Fair” and Russell was 27 years old when he did this film. This is part of the series of films Kurt Russell did for Walt Disney, playing a character named Dexter Riley, which my brother and I love. I’ll just mention this one as the first and best one, but they are all fun family films. They include Now You See Him, Now You Don’t (1972), The Strongest Man in the World (1975), and we’ll throw in The Barefoot Executive (1971), because he pretty much plays the same character in that one too. Kurt Russell’s co-star in these was Joe Flynn, a very under-rated character actor that is hilarious in all of these movies. Joe Flynn played Dean Higgins of Medfield College, where student Dexter Riley goes to school. 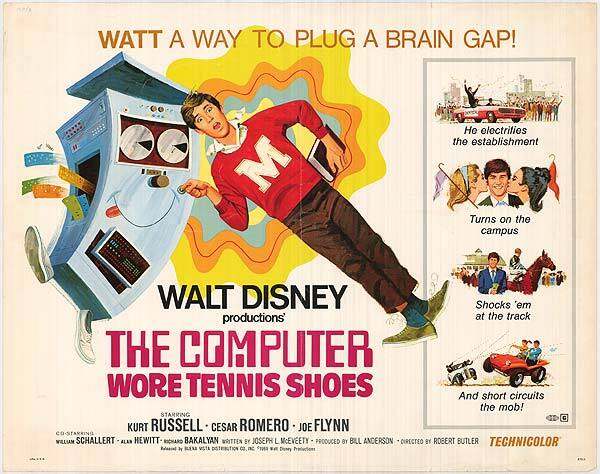 The name of the educational institution, “Medfield College” is also the setting featured in other Disney films such as this movie’s sequels Now You See Him, Now You Don’t and The Strongest Man in the World as well as the earlier The Absent Minded Professor (1961) and its sequel Son of Flubber (1963) where Professor Brainard (Fred MacMurray) teaches science. Side note – these 4 films were written by Joseph McEveety, who also wrote Disney’s Superdad (1973), No Deposit, No Return (1976), and Hot Lead and Cold Feet (1978). He’s the brother of directors Bernard McEveety and Vincent McEveety, who would go on to direct for Disney, the films; The Bears and I (1974), Napoleon and Samantha (1972), One Little Indian (1973), and Donovan’s Kid (1979) for Bernard and Menace on the Mountain (1970), The Million Dollar Duck (1971), The Biscuit Eater (1972), Charley and the Angel (1973), Superdad, The Castaway Cowboy (1974), The Strongest Man in the World, Treasure of Matecumbe (1976), Gus (1976), The Ghost of Cypress Swamp (1977), Herbie Goes to Monte Carlo (1977), The Apple Dumpling Gang Rides Again (1979), The Watcher in the Woods (1980) and Herbie Goes Bananas (1980) for Vincent. These 3 brothers were very effective at driving a lot of the Disney films in the 1970’s. A little known film about Crunch Calhoun, a semi-reformed art thief, who agrees to get his old gang back together to pull off one last heist. Kurt Russell plays Crunch. 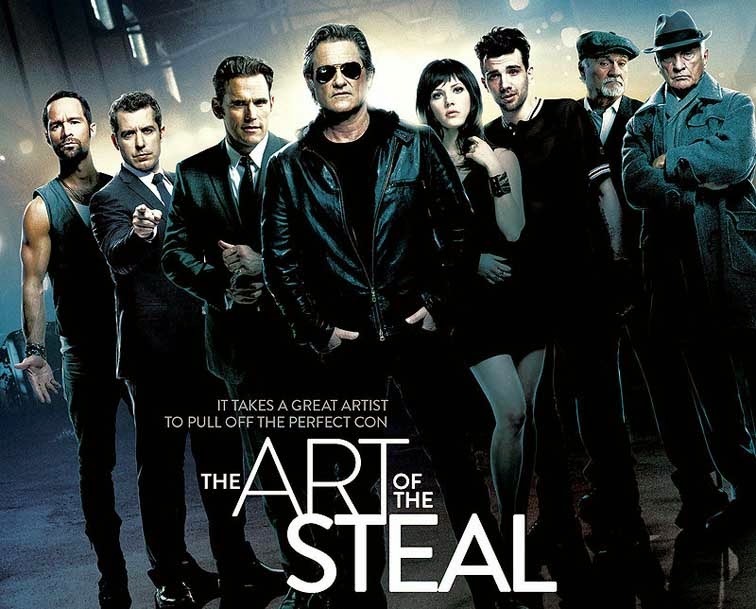 This is a great heist film with some fun twists, written and directed by Jonathan Sobol. Cool cast includes Matt Dillion, who I think is an under-utilized actor. He should be in more movies than he is. This is a fantastic movie and simply the best film ever done that features the Boy Scouts. It’s about Lem Siddons, who is part of a traveling band who has a dream of becoming a lawyer. Deciding to settle down, he finds a job as a stockboy in the general store of a small town. Trying to fit in, he volunteers to become scoutmaster of the newly formed Troop 1. Becoming more and more involved with the scout troop, he finds his plans to become a lawyer being put on the back burner, until he realizes that his life has been fulfilled helping the youth of the small town. Kurt Russell plays a boy that Lem reaches out to help and the main boy in the movie. 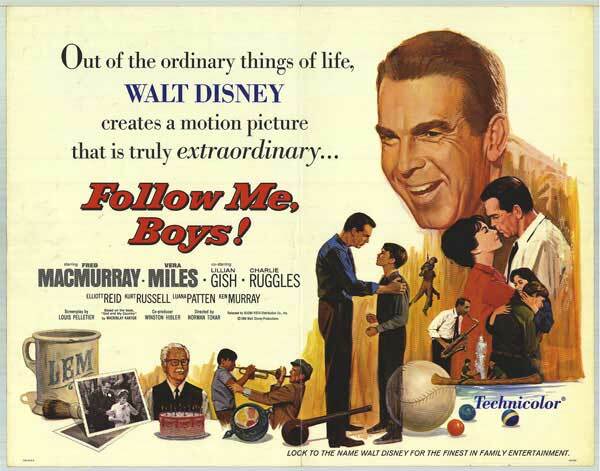 It was Kurt’s first movie for Disney and it established him for the next 12 years in the studio. He would go on to star in 9 more Disney movies as well as numerous Disney TV shows. This movie was Taken, before Liam Neeson came around. Not really but technically the same story, but with his wife instead of daughter. Kurt Russell has starred with J.T. 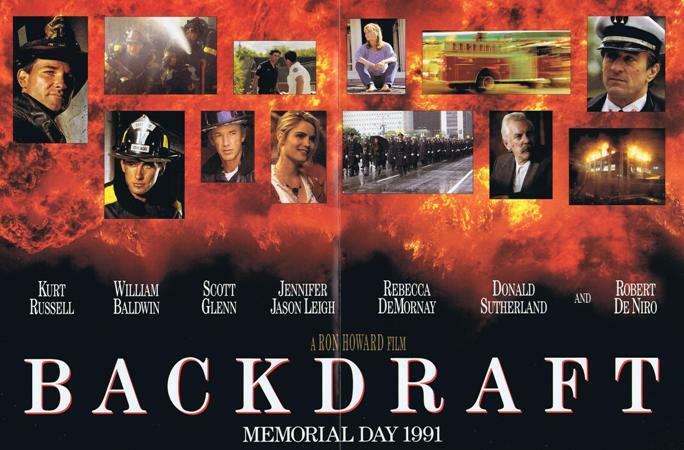 Walsh three times before, in Tequila Sunrise (1988), Backdraft (1991), and Executive Decision (1996). Kurt Russell has killed J.T. Walsh twice in a movie. In Tequila Sunrise he shoots him. 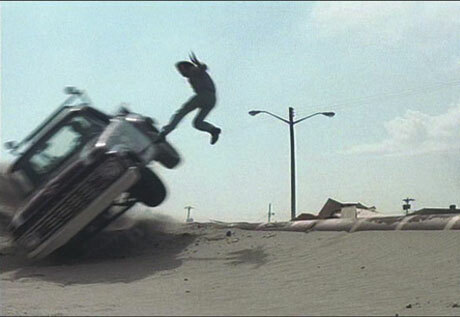 In this film, he throws him off the bridge, and Amy puts the truck in neutral, causing the truck to land on him. When terrorists seize control of an airliner, an intelligence analyst accompanies a commando unit for a midair boarding operation. The real surprise in this movie happens about 20 minutes into the film when Steven Seagal, who you think is going to be a major character, dies. It was the first time in a movie, where Steven Seagal’s character gets killed. It would happen again in Machete (2010). Kurt enjoyed the script as soon as he read it. He said later, “When I read Executive Decision, it was a real page-turner. I read scripts for the stories more than I do for the characters. I’ve read lots of characters I’d like to play, but I didn’t enjoy the movie itself that much. 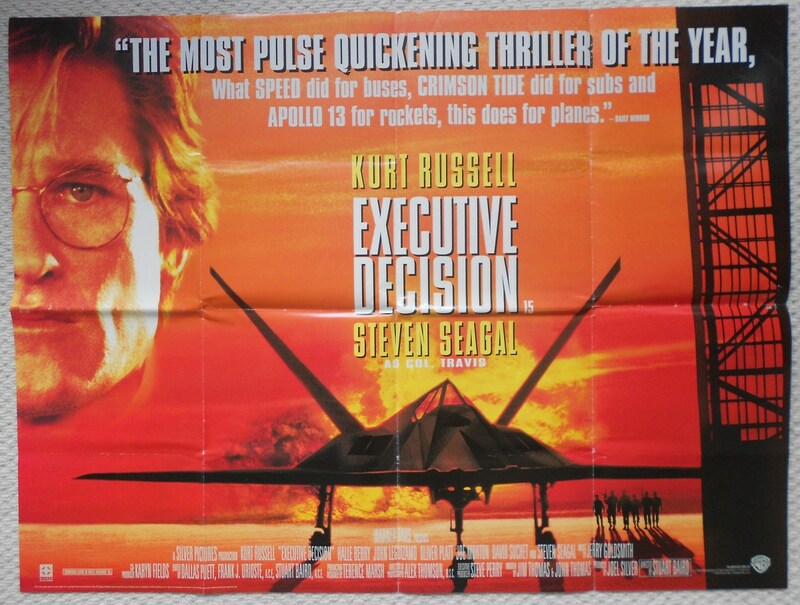 I liked the fun of Executive Decision, you know, I feel when an audience sees my name attached to a film, they think it’ll probably be a pretty good movie. The movies I do, if we make them well, will be fun to watch. They may not be the best movie of the year, and I may not be your favorite actor, but people come up to me all the time and say, “I like the movies you do”. This movie has an incredibly unique premise; in 1997, when the U.S. president crashes into Manhattan, now a giant maximum security prison, a convicted bank robber is sent in to rescue him. That man of course is Snake Plissken (Kurt Russell). He reprises the role again in Escape From LA, but that movie is really cheesy. I mostly like cheese, but that sequel is too much at times. Kurt Russell has stated that this (the first one) is his favorite of all his films, and Snake Plissken is his favorite of his characters. 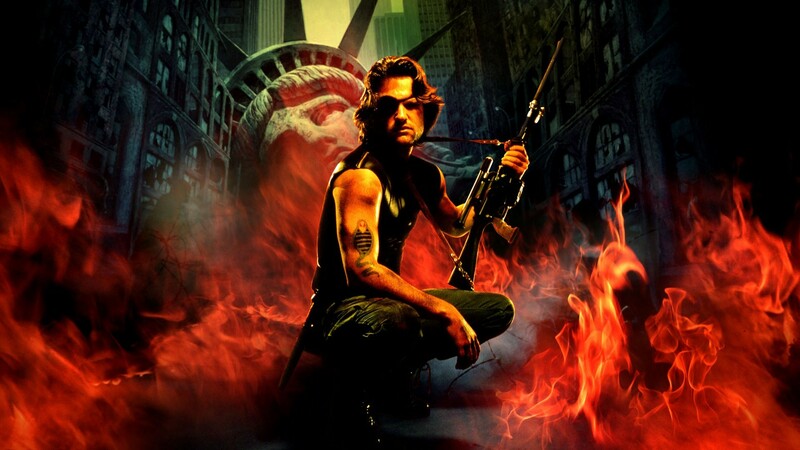 Snake Plissken’s eyepatch was suggested by Kurt. Clint Eastwood was considered for the role of Snake Plissken. Kurt based his performance on Eastwood, in his westerns. The line “I thought you were dead” was probably borrowed from Big Jake (1971). Every time John Wayne tells someone his name, the standard response is “I thought you were dead.” Which would mean that parts of this film were inspired by two legendary western stars, or their films; John Wayne and Clint Eastwood. Snake, being based on Clint, has the added irony that Eastwood and Lee Van Cleef were in several “spaghetti westerns” together, who also stars in this movie. 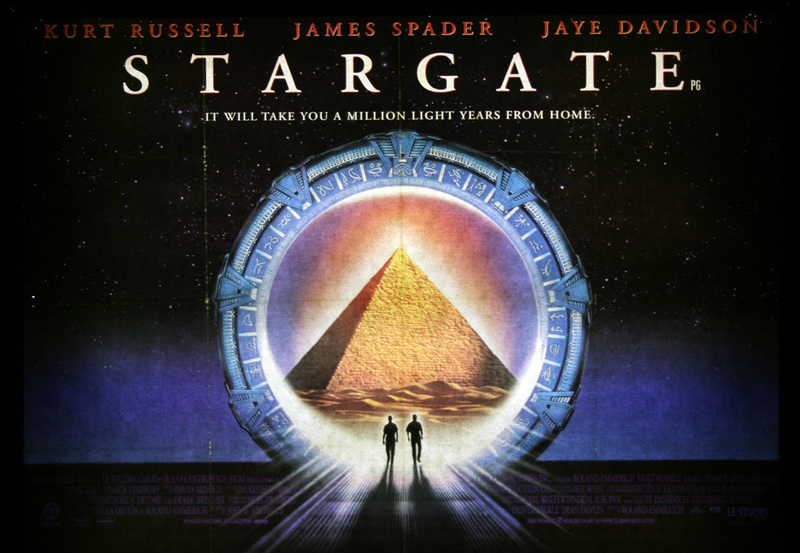 An interstellar teleportation device, found in Egypt, leads to a planet with humans resembling ancient Egyptians who worship the god Ra. In a magazine interview, James Spader said that he found the original screenplay “awful” but also that it was so bad it actually intrigued him. He then met with Roland Emmerich, was inspired by the director’s passion for the project, and decided to make the movie because he felt the energy and craziness of making such a film would translate into an exciting final film. Ron Howard directed film about two Chicago firefighter brothers, who don’t get along, who have to work together while a dangerous arsonist is on the loose. 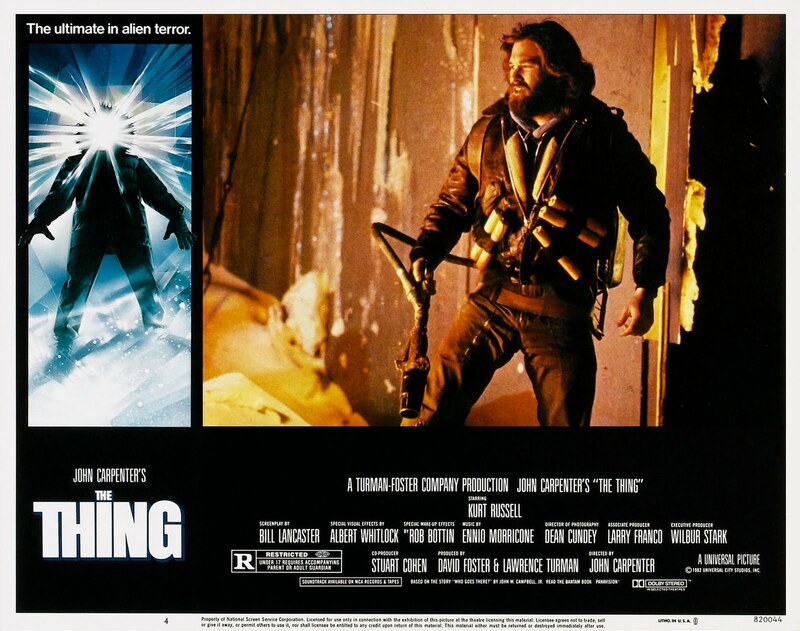 Kurt Russell, Kevin Casey, Scott Glenn, and William Baldwin did a lot of their own stunts, and the Stunt Coordinator Walter Scott was so impressed by their performances, that he credited them as stunt performers in the credits. William and Kurt went to a firefighter “boot camp” to learn the ropes. They even slept at a Chicago firehouse for about a month. Ron Howard described Kurt’s approach was “aggressive, but entertaining, and totally honest.” Kurt was originally considered for the lead role of Connor Macleod in Highlander (1986), which was written by the same writer of this film. A cruel but beautiful heiress screws over a hired carpenter, who later is the first one to find her when she gets amnesia. Looking for a little revenge he convinces her that she’s his wife. Great romantic comedy by Garry Marshall and also starring Goldie Hawn, Kurt’s real life love. As of 2017, this is the third and last of three movies that real-life couple Goldie and Kurt appeared in together as co-stars. Their earlier collaborations were Swing Shift (1984) and The One and Only, Genuine, Original Family Band (1968). Looking back on the film, Garry Marshall thinks that it’s “still one of the funniest pictures I ever made,” he said later. 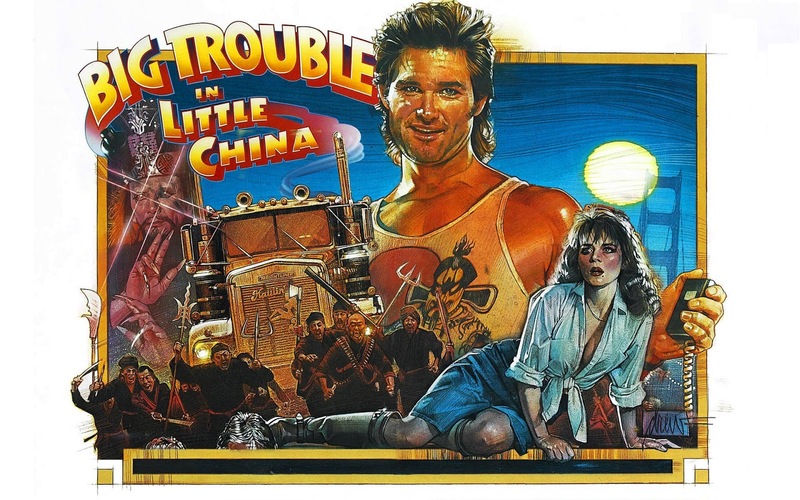 An All-American trucker, Jack Burton, gets dragged into a centuries-old mystical battle in Chinatown. 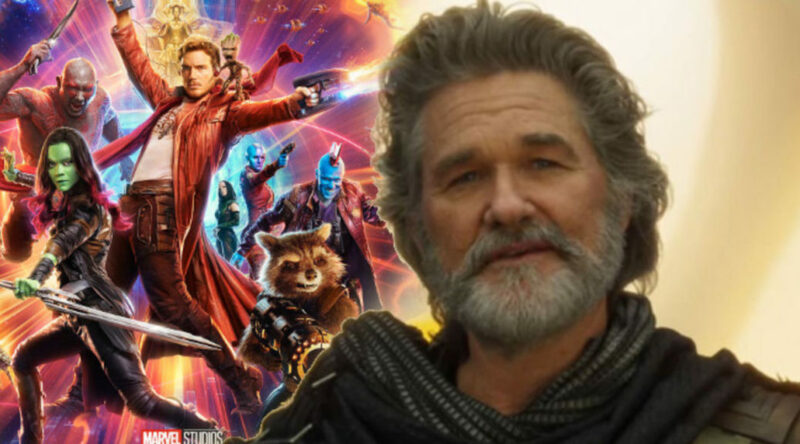 Kurt Russell confessed on the DVD commentary that he was afraid of starring in the movie, because he had made a string of movies that flopped at the box-office. When he asked John Carpenter about it, he told Kurt that it didn’t matter to him – he just wanted to make the movie with him. It did flop at the box office initially, but became a huge hit on video and DVD years later. Now it’s considered a cult classic. John and Kurt explain on the audio commentary that the first test screening was so overwhelmingly positive, that both of them expected it to be a big hit after they made it. However, 20th Century Fox put little into promoting the movie, and it ended up being a box-office bomb. According to John and Kurt in the DVD commentary, the story was originally written as a western, but Carpenter decided to set it during modern times. They even mention that instead of Jack Burton’s truck being stolen, it was originally his horse. Kurt Russell turned down the lead role of Connor MacLeod in Highlander to appear in this film. Both movies were made and released by 20th Century Fox. An interesting side note, in the scene where Kurt is attempting to infiltrate the brothel, he is wearing the same outfit that he wore in Used Cars. The original idea for this film was to get Rambo and the Terminator together for a buddy cop film. They couldn’t get Arnold Schwarzenegger back then so it became a Rambo and Snake Plissken film. 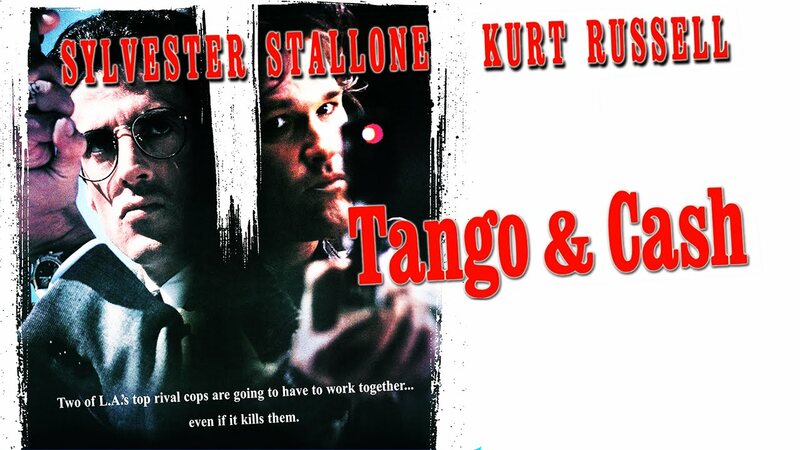 Not really, but it had Sylvester Stallone and Kurt Russell, two action stars in one movie. Kurt was originally considered and offered the role of Martin Riggs in Lethal Weapon (1987), but he turned it down, and it went to Mel Gibson, with whom he worked on Tequila Sunrise. His character in this film is loosely based on Martin Riggs in Lethal Weapon. It’s the finest horror film ever made and is about a research facility in Antarctica that comes across an alien force that can become anything it touches with 100% accuracy. The members must now find out who’s human and who’s not before it’s too late. John Carpenter has stated that of all his films, this is also his personal favorite. John Carpenter’s film is a much more faithful adaptation of John W. Campbell, Jr.’s original novella “Who Goes There?” than The Thing from Another World (1951). For example, the 1951 version introduced female characters including a “love interest” for the hero. This film, like the original story, has no roles for women. Also, the use of a hot needle, to check the blood of the characters to see if they were still human or not, was taken directly from the original novella, and was not used in the 1951 movie. When the crew are all discussing what the alien spacecraft might be, one of them explains it by saying “Chariots of the Gods.” This is a reference to the famous 1968 book by Swiss-German author Erich von Däniken entitled “Chariots of the Gods?” which hypothesized that many of the world’s great historical monuments, such as the Egyptian Pyramids, were built with the aid of technologies and religion provided by extra-terrestrial beings, who were treated as deities by ancient peoples. It’s the best film you can find about Wyatt Earp and Doc Holliday and the fight at the OK Corral. Unbelievable cast with Kurt, Val, Bill Paxton, Sam Elliott, Powers Booth, Stephen Lang, Thomas Haden Church, Dana Delaney, Charlton Heston, and Michael Biehn. In an interview with True West magazine in October 2006, Kurt admit that after original director Kevin Jarre was fired, he directed a majority of the picture. According to Russell, George P. Cosmatos served merely to make things run smoothly. 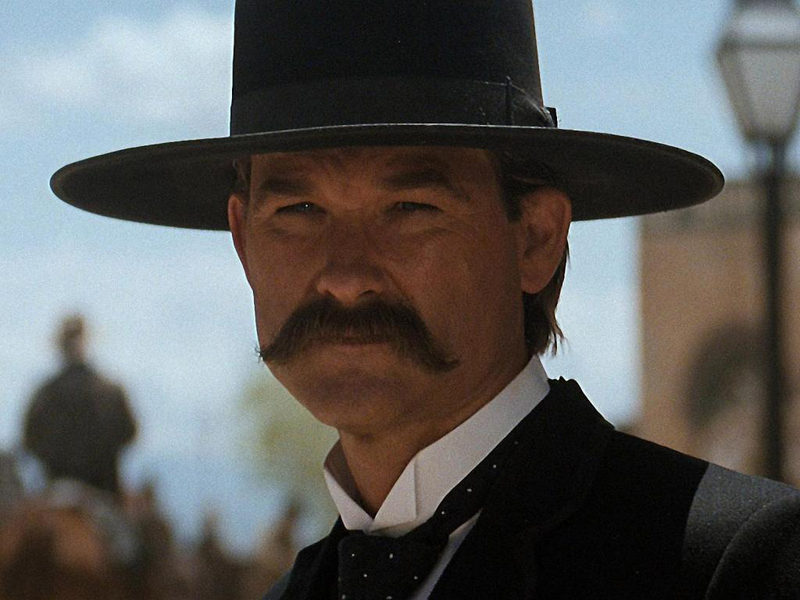 Also, in the True West interview, Kurt stated that the film was nearly cast with Richard Gere as Wyatt Earp, and Willem Dafoe as Doc Holliday. This would be a banner year for Gene Wilder as 3 of the movies on this list were released in 1974. 2 of them would be considered to be “classics” to most people. Classify this one as a forgotten little gem. 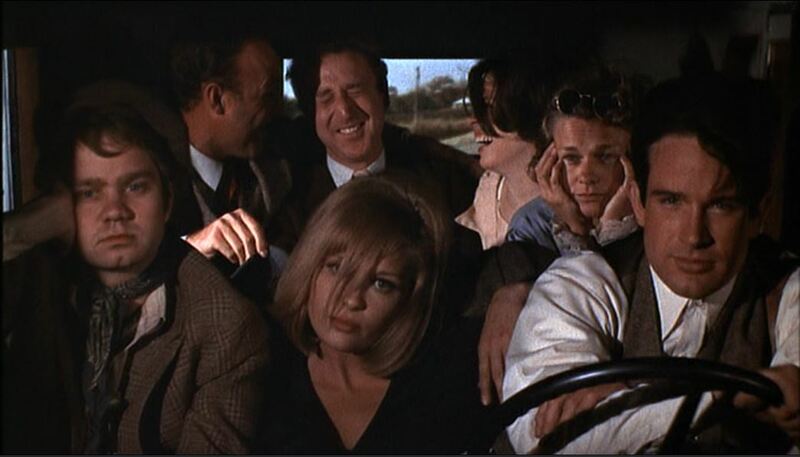 Thursday’s Game was released as a TV movie and starred Gene with a great cast of comedians with Bob Newhart, Cloris Leachman, Ellen Burstyn, Nancy Walker, Valerie Harper, Norman Fell, Rob Reiner and Martha Scott. The movie is about two guys who’ve been going to a Thursday night poker game for years, when suddenly a disagreement breaks up the game. The two guys then decide to keep getting together every Thursday night doing different things, under the pretense that the game is still going on. When the wives find out they are upset and wondering what they’ve been doing all that time. The budget for this film was so tight that the wardrobe department was practically non-existent. 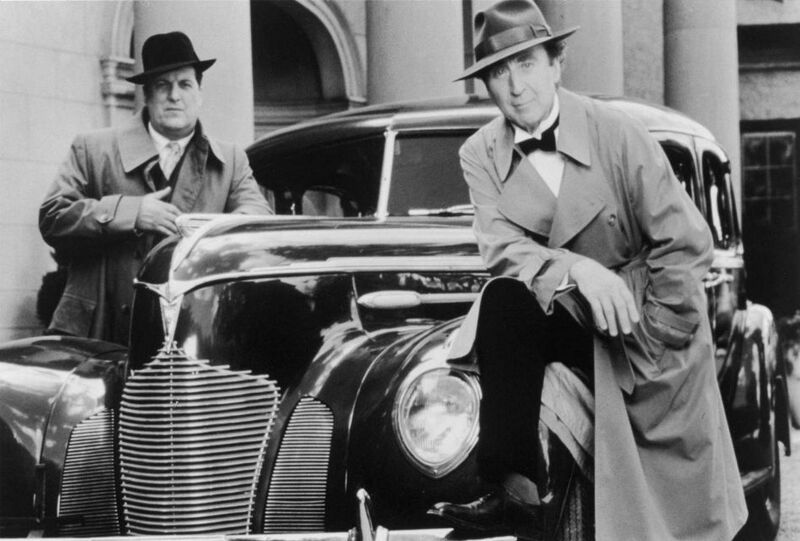 According to Gene Wilder, he and co-star Bob Newhart had to make do with their actual clothes. We mention the Producers in another blog, CLICK HERE TO READ THAT BLOG POST. Mel Brooks is almost synonymous with Gene Wilder as they made 3 movies together. These 3 are almost always mentioned as their top 3 movies respectively. That wasn’t always the case, as the Producers flopped initially but found new life when Mel made it into a smash hit on Broadway. 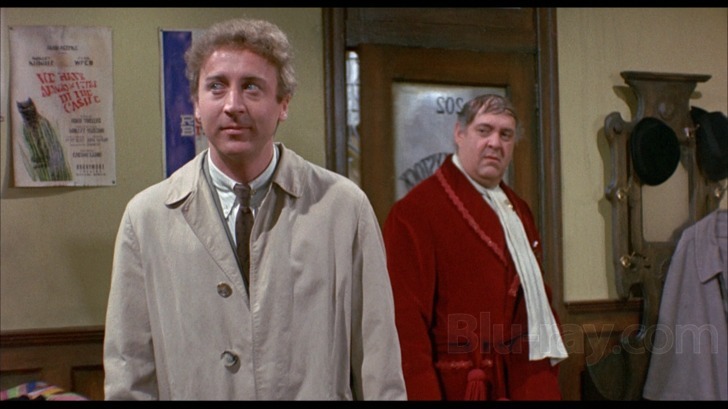 Now, of course, Zero Mostel and Gene Wilder were great in this but, Kenneth Mars is also really fantastic in this as well. I talk about him in a blog CLICK HERE. I find Dom Deluise to be hilarious, but put him in drag and he’s drop dead funny. 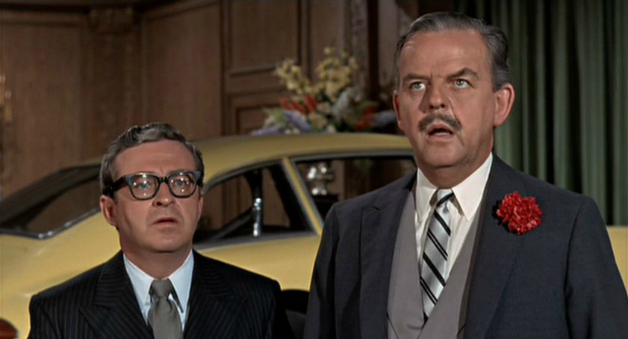 Gene and Dom appeared in 4 movies together. Now, if you don’t know already, Gene Wilder was a wonderful writer and director in his own right and this is one of the films he wrote and directed. It also stars his then wife and comedian Gilda Radner. This is a notable entry also because it was Gilda’s last movie before she died of cancer. It did not do well at the box office, but I like it because of the 3 actors and I especially like the scenes from the radio show. 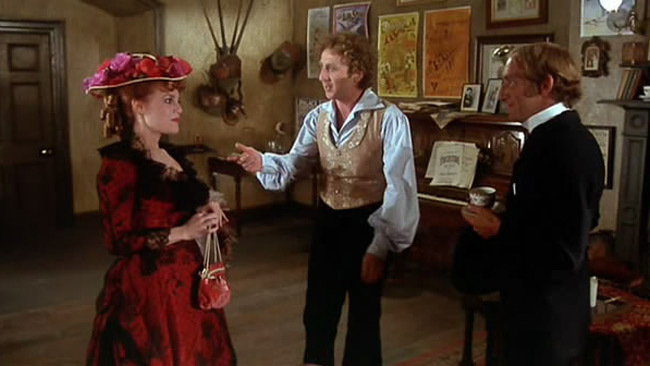 Gene reunites with Madeline Kahn and Marty Feldman in this gem that he also wrote and directed after they did Young Frankenstein. Favorites of mine, Dom Deluise, Leo McKern and Roy Kinnear round out the cast! 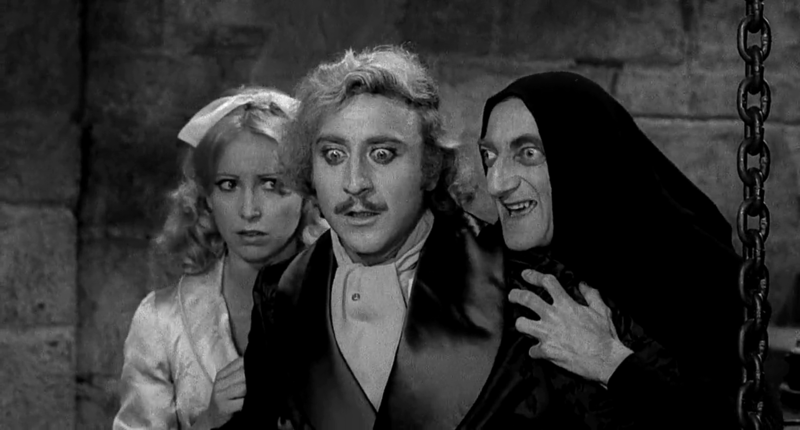 Originally, Gene tried to get Mel Brooks to direct this film as well, after they did Young Frankenstein, but he declined and convinced Gene that he could direct it himself. Gen would go on to direct 4 movies and 1 segment of a 5th one. This one is my favorite of all the films he directed. Up until Gene did the made-for-tv version of Death of a Salesman in 1966, he only had acted in a handful of TV shows. It was this film that ultimately put him on the path of stardom. This movie was relatively forgotten over time but had some very strong performances and included some very fine actors with Lee J. Cobb leading the cast. In his autobiography “Timebends”, Arthur Miller says that Lee J. Cobb was his favorite Willy Loman. The original Broadway production of “Death of a Salesman” by Arthur Miller opened at the Morosco Theater on February 10, 1949, ran for 742 performances and won the 1949 Tony Award (New York City) for the Best Play and the Pulitzer Prize. 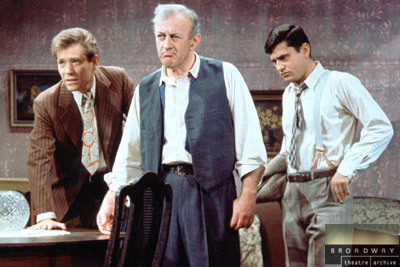 Lee J. Cobb recreated his stage role 17 years later in this television production. 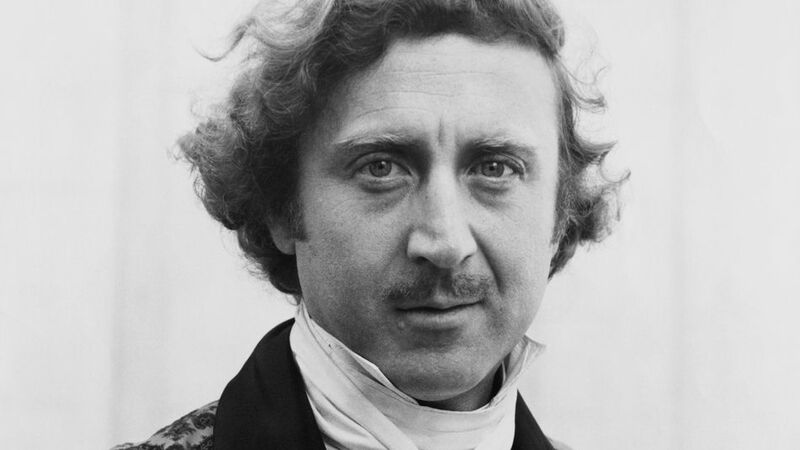 Gene Wilder would write 8 movies over his career and a segment of a 9th one. This is the 2nd to the last one he would write and was 1 of 2 mysteries featuring his Cash Carter character for A&E. I enjoy a good mystery and for some reason I really like it when my mysteries are a little understated as these two mysteries are. This one is about a widowed theatre director who moves to a small Connecticut town where he gets involved in solving the murder of a millionaire, who was the most despised man in town. Gene is very good in this. When 1 Gene Wilder is not enough, we get two! 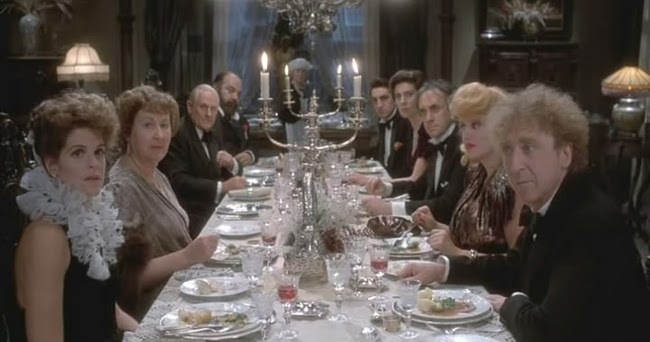 This one has Gene and Donald Sutherland playing two mismatched sets of identical twins – one aristocrat, one peasant – who mistakenly exchange identities on the eve of the French Revolution. 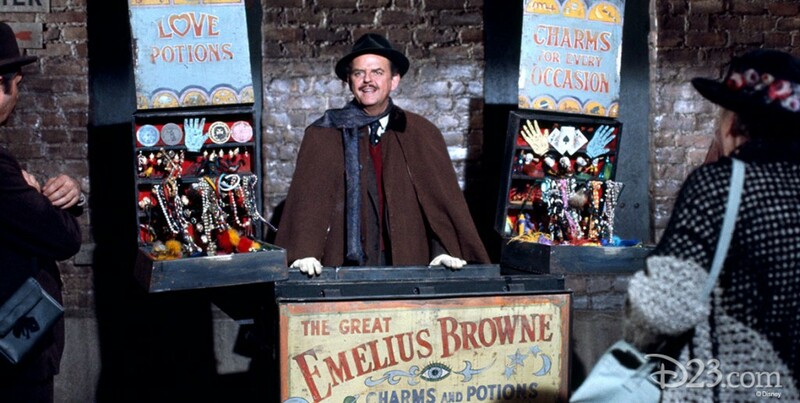 Gene Wilder originally wanted Charles Grodin to play the part of Charles/Pierre, but Grodin declined, having committed to directing the original Broadway production of Lovers and Other Strangers, which would have been really fun to see, but Donald does a great job. Gene liked this film especially because he got to fence. Gene was already adept with a sword from his days on his college fencing team. In less than a year after his appearance in Death of a Salesman, Gene would be cast in 2 films Bonnie and Clyde and The Producers. He would never look back. In Bonnie and Clyde, he got to work with Warren Beatty, Faye Dunaway, Gene Hackman, Estelle Parsons, Denver Pyle and Michael J. Pollard. This was technically his theatrical feature film debut. Gene Hackman and Gene Wilder would later appear together in Young Frankenstein (1974). Hackman had a small, uncredited cameo as the blind hermit while Wilder portrayed the title character. Sidney Poitier directed this movie, and enjoyed working with Gene and Richard, even though Richard was sometimes difficult to work with on this production due to his frequent drug use. When they clicked, they were quite funny. Sidney would let them improvise during scenes for the movie. This is one of the four movies Pryor and Wilder teamed together, and was the most successful of the four at the box-office. There was no doubting their second match-up was an all-around success. “Our instincts seem to coalesce. The difference, this time, is that ‘Stir Crazy’ is an out-and-out comedy while Silver Streak (1976) was a mixture of mystery, adventure and romance”. Pryor interjected: “You might say that our Pryor picture was a ball but this one is Wilder”. Wilder responded: “You might,” needles Wilder, “But you’ll say anything”. Here’s the almost in that last paragraph…believe it or not, Richard Pryor was set to play the role that eventually went to Clevon Little in Blazing Saddles. 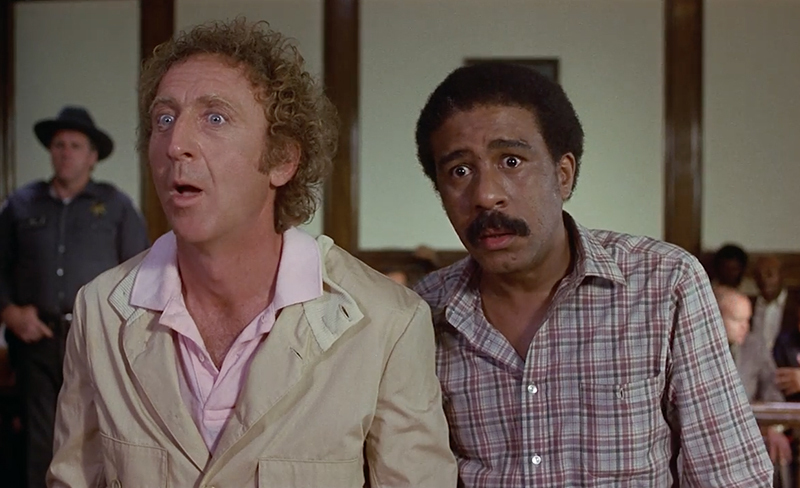 Richard Pryor even wrote some of the script with Mel Brooks. Although, Gene Wilder was not the original choice for his role either. They had cast and went into production with Gig Young, but he was coming off of alcohol and couldn’t function properly and Mel had to call upon his friend Gene to fly out last second to fill in, as a personal favor to him. One of the best comedy pairings of all time almost happened, two years before they finally appeared together in Silver Streak. First film written by Gene Wilder and the only film directed by Mel Brooks, that Mel didn’t write. He didn’t direct anything he didn’t also write, but Gene talked him into directing as a personal favor to him. 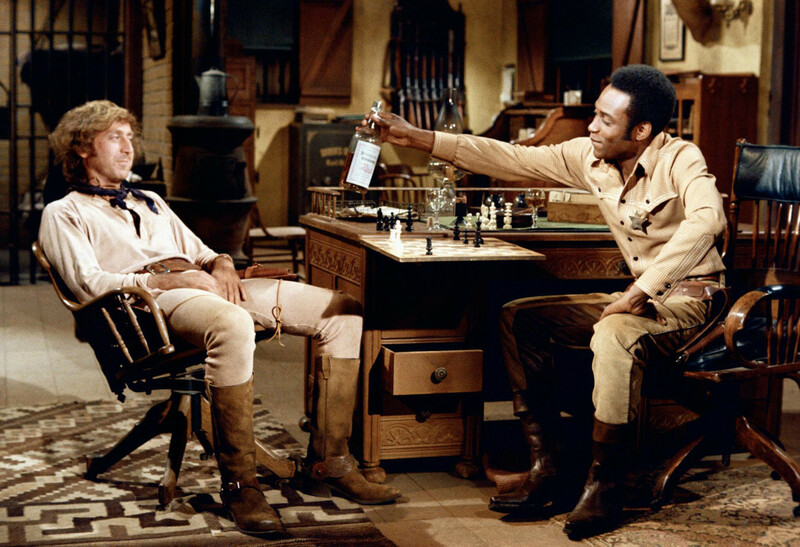 According to Mel Brooks (in the commentary for Spaceballs (1987)) when Gene Wilder came on to Blazing Saddles at the last minute as a favor to Mel, he requested that Mel Brooks do “his” movie idea next; that movie turned out to be this film. It was a perfect match. Gene Wilder has stated that this is his favorite of all the films he’s made. 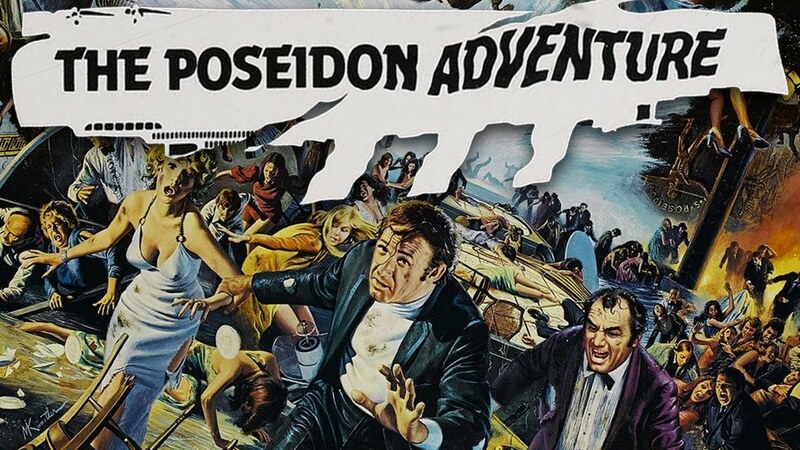 The cast and especially Mel Brooks had so much fun and were so upset when principal photography was almost completed, that Mel added scenes to continue shooting. I forgot Kevin Spacey was in this with Gene Wilder, Richard Pryor and Joan Severance. 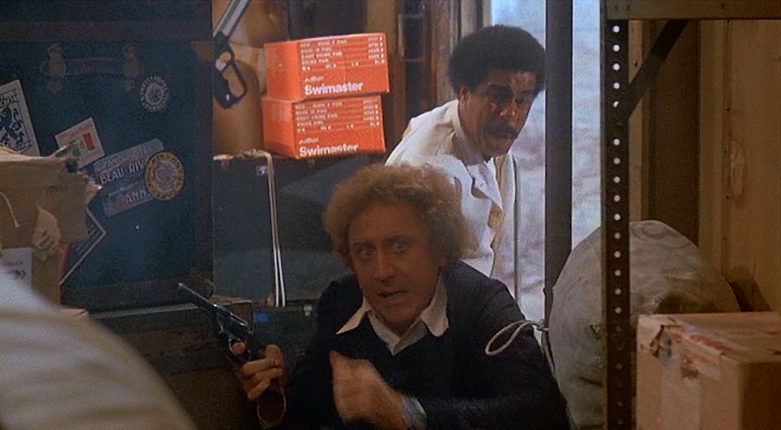 Gene Wilder almost wasn’t in this movie. Per his autobiography, he turned the script down twice (due to its treatment of the deaf and the blind). He intended to do the same when offered it a third time, but his agent talked him into meeting with TriStar (the studio behind the film). The TriStar people asked Gene to re-write the script for himself and Richard Pryor, which he agreed to do…and the rest is history. Gene Wilder went to the NY League for the Hard of Hearing to study for his role. There he was assigned to speech pathologist Karen Webb, who would ultimately become his fourth wife. They were married 25 years, up until his death. 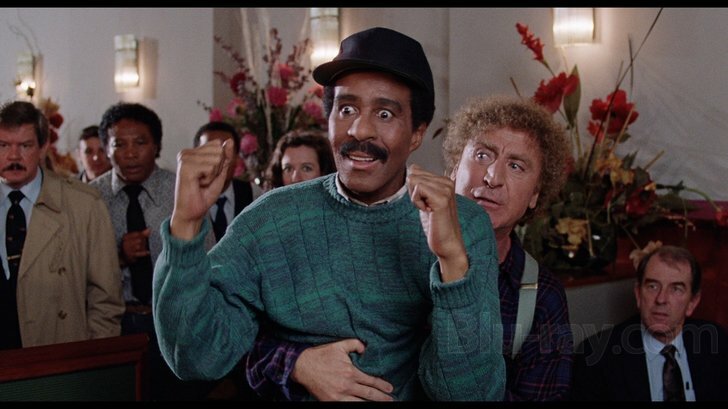 With its dead body murder plot and villainous crime characters, the movie returned director Arthur Hiller and stars Gene Wilder and Richard Pryor to the suspense-adventure-comedy genre that had made their earlier picture Silver Streak a success around thirteen years earlier. Now this one is probably the biggest surprise on the list, but it’s just so under-appreciated! Not only is Gene Wilder pitch-perfect in this film as a Jewish Rabbi, Harrison Ford plays an old school cowboy like he was born to it. I just love this movie. 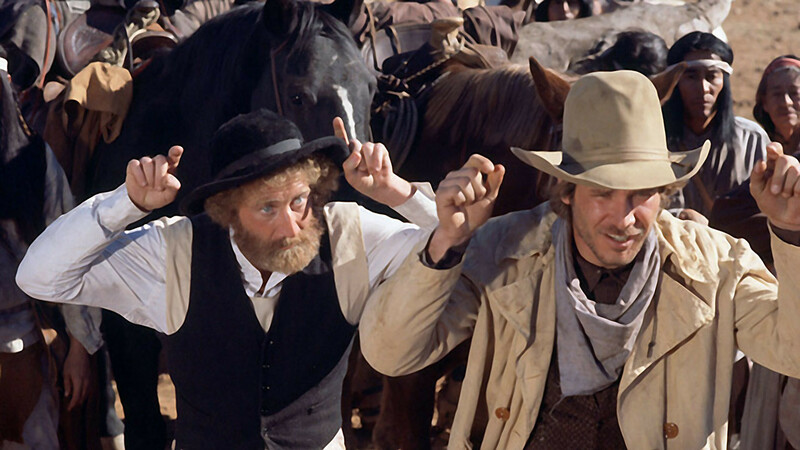 In his autobiography, Gene Wilder says that John Wayne was offered the part that was eventually played by Harrison Ford. Wayne loved the role and was eager to work with Wilder. However, an agent tried to offer Wayne less than his usual fee and the legendary actor turned the film down. The sad thing about this movie is that it was a flop when released and has had a very small but devoted following on VHS and DVD…but it’s a wonderful film! One of five movies where actor Gene Wilder plays a man wrongly accused of committing a crime. The films include Silver Streak (1976), The Frisco Kid (1979), Stir Crazy (1980), Hanky Panky (1982), and See No Evil, Hear No Evil (1989). Actor Gene Wilder loved his part because he could get to do scenes which were fitting of Errol Flynn doing action or Cary Grant being romantic. When meeting Gene Wilder after having seen Silver Streak, Cary Grant asked him if the script had been in anyway inspired by North by Northwest (1959). As Wilder admitted it was correct, Grant then added, “I knew it! Have you noticed that each time you take ordinary people, say, like you and me, then take them in a situation way above their heads, it makes a great thriller?” First of two consecutive comedy thrillers written by Colin Higgins. The second released two years later was Foul Play (1978). Higgins conceived “Silver Streak” in mid 1974 when he was traveling by train from LA to Chicago. We talk about Foul Play in another blog post, CLICK HERE TO READ IT. On a sad note…Director Arthur Hiller and co-star Gene Wilder died within 12 days of each other. This is number 1 for me. It’s his most iconic role and to be honest, one of my favorite films of all time. According to director Mel Stuart’s “Pure Imagination: The Making of Willy Wonka”, when Gene Wilder walked in to audition, Stuart knew before he’d even uttered a single word that he had found his Willy Wonka. The audition convinced him even further, so when Wilder finished and left the room, Stuart chased him down the hallway, cut him off at the elevator bank, grabbed his arm and told him “You’re doing this picture, no two ways about it! You are Willy Wonka!” Producer David L. Wolper, however, was furious because he hadn’t yet had the chance to negotiate a fee. After reading the script, Gene Wilder said he would take the role of Willy Wonka under one condition: that he would be allowed to limp, then suddenly somersault in the scene when he first meets the children. When the director asked why, Gene Wilder replied that having Wonka do this meant that “from that time on, no one will know if I’m lying or telling the truth.” The director asked, “If I say no, you won’t do the picture?”, and Gene Wilder said “I’m afraid that’s the truth.” Even Julie Dawn Cole was fooled by the scene in which Willy limps out of his factory to greet the Golden Ticket winners. She mentions in the DVD commentary that she thought that Gene Wilder had injured his leg for real (and that the filming would have to be temporarily halted because of it). This resulted in her being just as stunned by Willy’s somersault as the audience is. Now here’s an actor, I never fully thought ever got his due. He was utterly brilliant in several films, mostly Bedknobs and Broomsticks, Mary Poppins and The Love Bug for Disney, but also a few others. He played the foil in so many of these films, and was so believable and real that he was never fully embraced for his contribution for the success of these films. For these films to be as successful as they were they had to have a bad guy that was convincing and despicable. He could come off as slimy and snooty and arrogant, and so much of it was so totally opposite of his true lovable persona off-screen. 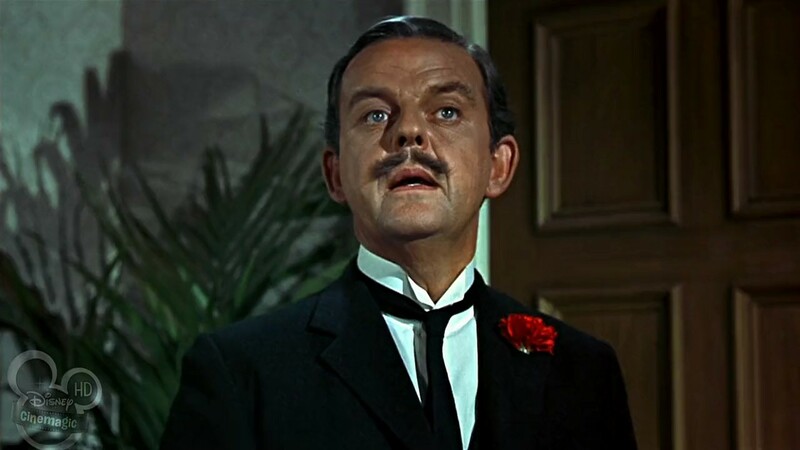 Of the more than 50 motion pictures he appeared in during his career, however, his most popular role was as the rigid and positively clueless father George Banks in Mary Poppins. As Ed Weiner wrote in TV Guide, “Of all the movie moments we hold dear from childhood and revisit most often with our children on video, Tomlinson as a changed and suddenly life-loving George Banks happily singing ‘Let’s Go Fly a Kite’ is one of the sweetest.” Tomlinson also voices several of the animated characters that Bert and Mary Poppins encounter in the chalk drawing, including a penguin waiter and the jockey who allows Mary Poppins to pass on her carousel horse. He also voices the Parrot Umbrella Handle at the end of the movie. 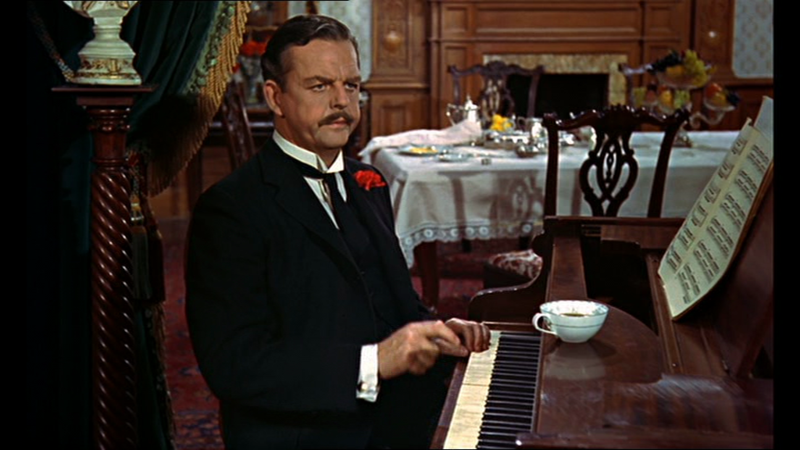 Robert Stevenson who directed Mary Poppins, liked working with Tomlinson so much that he cast him in two more of his movies; The Love Bug (1968) and Bedknobs and Broomsticks (1971). [fliiby]https://flii.by/file/fpsa9cotxhr/[/fliiby] A successful screen pairing usually last for 3 or 4 films. Some of the really great pairings did 15 or more films together, but most of these were comedy teams, not just actors who would come together every so often and do a film together. Actors who did this that come to mind is Jack Lemmon and Walter Matthau, who did 10 movies together and Amy Poehler and Tina Fey, who’ve done 4 movies together so far. 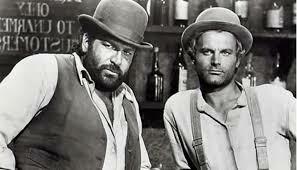 It’s unheard of that Terence Hill and Bud Spencer performed in 18 films together over their lifetimes! My brother wrote a great post on comedy teams here. They appeared together in a movie for the first time in 1967 for God Forgives…I Don’t. 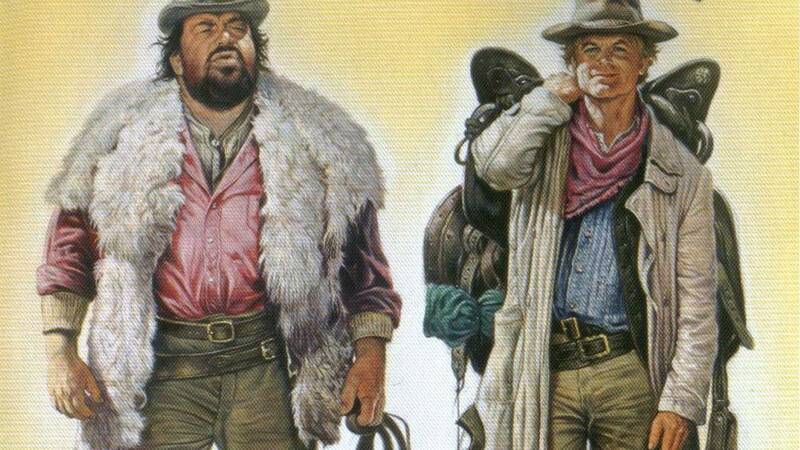 The movie has many of the elements that made them a popular pairing over the years, being a spaghetti western and having them “buddy” up, but it wasn’t until they were featured in a comedy that they really became popular worldwide. 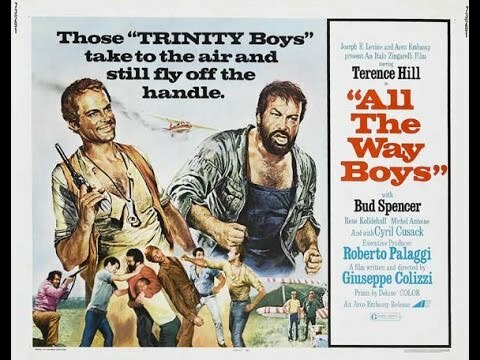 This is, however, identified as a trilogy, as Terence Hill and Bud Spencer play the same characters Cat Stevens and Hutch Bessy again in Ace High (1968) and Boot Hill (1969) all directed by Guiseppi Colizzi. He would direct them one more time for the 1972 film, All The Way Boys, but it is not a western, but it’s a comedy and is considered a “Trinity” film. You may be wondering what that means…it’s important to note that after awhile all the films they did together would be classified under one word, “Trinity”, to denote that the actors appeared together in a film, but was not necessarily a western. It could have been modern day, or in the past, but was always action, and mostly comedy. It became almost a genre of it’s own, their genre. It refers to their most popular film which came out in 1970, They Call Me Trinity, and really had all of the elements in place by then…comedy, action, fighting, buddy-buddy, some kind of clever con…it was all there. Billed as E.B. Clucher, the movie was directed by Enzo Barboni who has helmed a number of Terence Hill and Bud Spencer comedy collaborations. 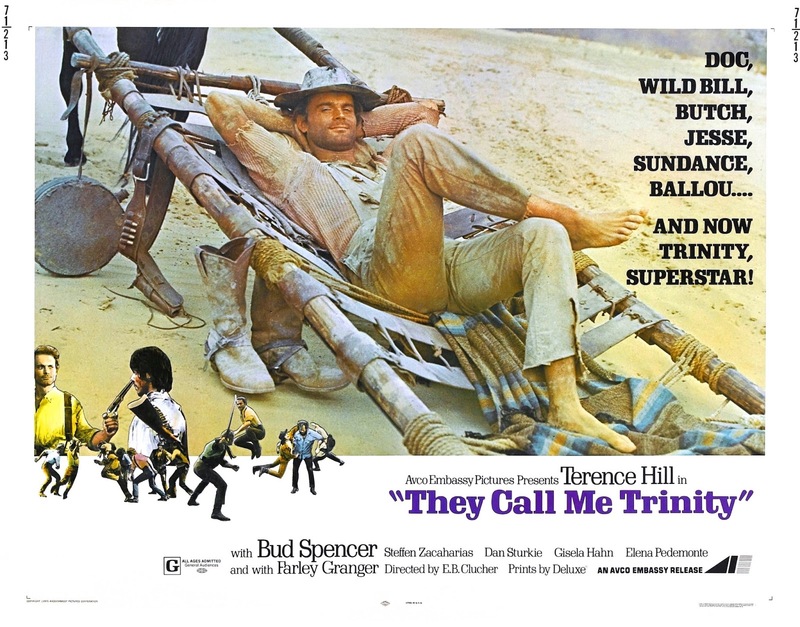 They are: They Call Me Trinity (1970), Trinity Is STILL My Name! (1971), Go For It! (1983), Crime Busters (1977) and Double Trouble (1984). They did the movie Blackie the Pirate (1971) the same year they made the sequel Trinity is Still My Name!. By then the Trinity movie was a huge hit and they went back into production on the new one. While on the set they improvised a bit and started to play with the set and made up a few scenes on the spot. This would be a technique that Jackie Chan would utilize in many of his movies from the 80’s and 90’s and Hill and Spencer would continue with in their future films. 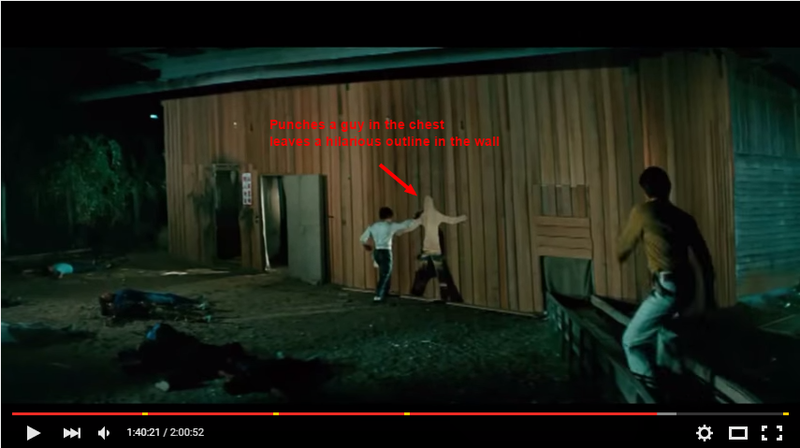 You can see all of these things and how their fight scenes and comedy are used in very similar ways. In 1974 they released, Watch Out, We’re Mad and The Two Missionaries. Their next film, Crimebusters (1976) was the first movie that my brother and I saw and we loved them instantly. We went home within a short time caught up on all their movies. Little did we know back then that we would eventually work with a star from that movie, David Huddleston in our first film, Reveille and later in our movie, Locker 13. David Huddleston would also star in Go For It (1983). 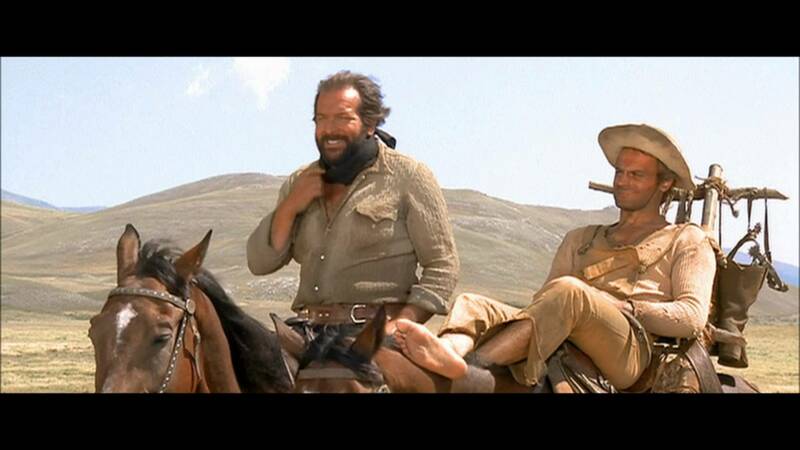 In 2004, when we first worked with him, he told us he was still very good friends with Terence Hill and Bud Spencer. [fliiby]https://flii.by/file/c2mvr036e5v/[/fliiby] About this time, Hill and Spencer teamed up with a director also famous for spaghetti westerns to make a few of the modern day – non-western Trinty films. The director was Sergio Corbucci and the films were Trinity: Gambling For High Stakes (Odds and Evens) (1978) and Who Finds a Friend, Finds a Treasure (1981). To make things a little confusing, Sergio’s brother, Bruno Corbucci, also made several movies with Hill and Spencer and directed his last one Miami Cops in 1985. To make the connection between Hill-Spencer and Jackie Chan and “brothers” even closer, the film they made in 1984 Double Trouble and the film Chan made in 1992, Twin Dragons are very similar. They both feature all 3 of the actors playing a set of twins that get mixed up with another twin. One set of twins in both films are even musicians. 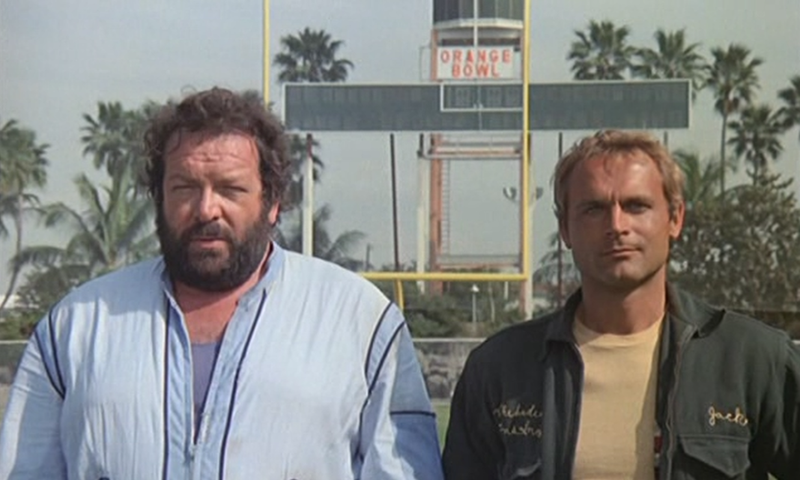 Now over the years, Bud Spencer and Terence Hill felt a lot like brothers. 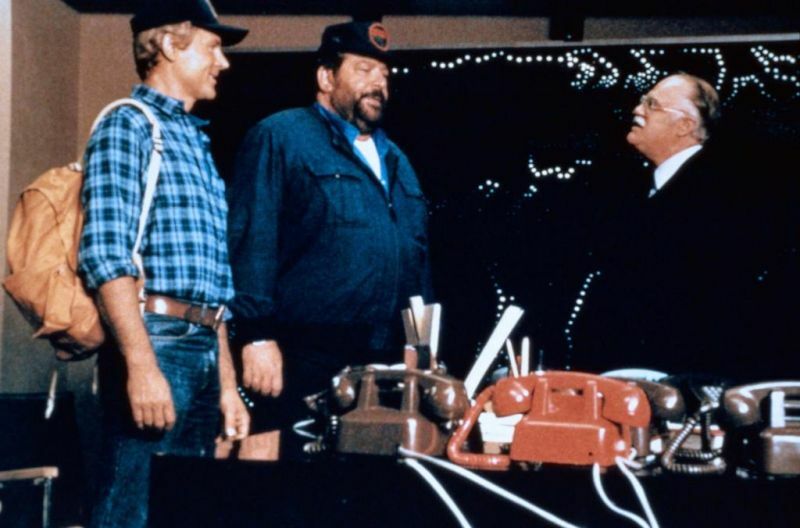 In their last film together, they played brothers again in Troublemakers (The Night Before Christmas) in 1984, directed by Terence Hill himself. 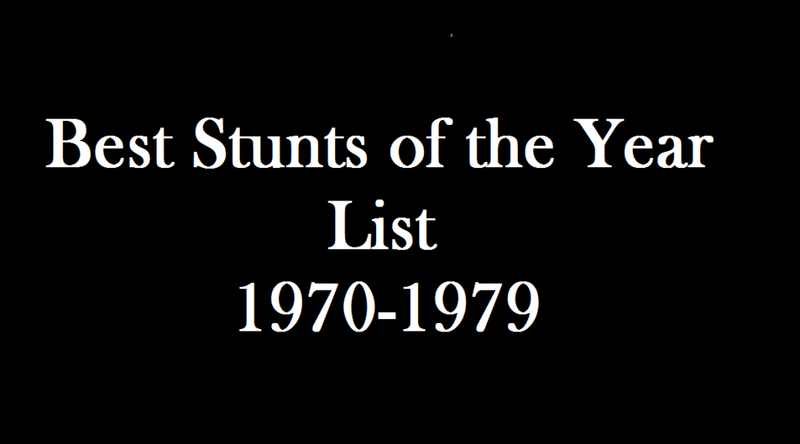 Here is the list for the Best Movie Stunts for the Decade 1970-1979 as listed in the book, 100 Years of the Best Movie Stunts! Bruce Lee would become a bonafide sensation after his first film and there really was no one quite like him. He had the skills and a way about him that everyone after him tried to copy. Martial Arts got it’s very own movie genre after this. James Bond would appear this decade a record 4 times! 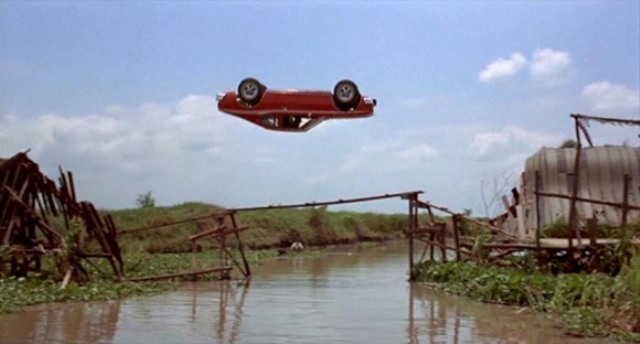 This is the first on the list with a speedboat jump over land by Jerry Comeaux of 110 feet, which made it into the Guinness Book of World Records. This one had a great car jump stunt that is a breath-taking, “I can’t believe I saw that” …mathematical stunt devised by Raymond McHenry at Cornell University and performed by Bumps Willard. 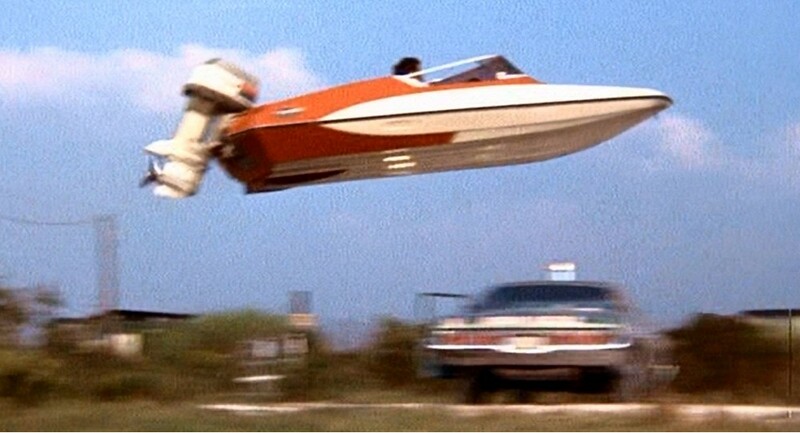 This would be the start of a great collaboration between Hal Needham and Burt Reynolds. Hal Needham would body double Burt in this film and there’s a nifty car flip at the end of the movie with Hal in the truck bed. This is a bond film with one of the most extensive pre-credit sequences than all the previous films and right before they go to the opening song and credits, they have a fantastic ski-stunt by Rick Sylvester right off a mountain and then slowly fall until finally has a parachute open. Really great opening. 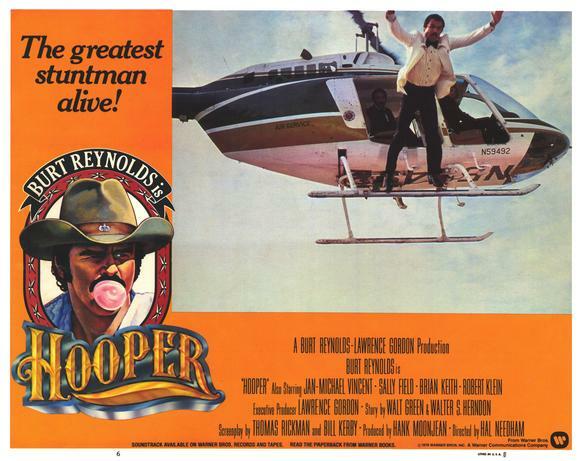 Hal Needham directed Burt Reynolds this time in a movie inspired by and about stuntmen! Can’t name just one stunt to highlight in this film as it’s just chocked full of them, but if I had to, A. J. Bakunas has a world record breaking jump from a helicopter into an airbag (232 feet!). BJ Worth and Jake Lombard fight over a parachute in this Bond entry and it’s fun to watch. I would definitely include all the camera men who had to jump and film the sequence which included 88 jumps over all. 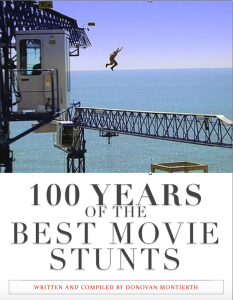 Check out our new Book, 100 Years of the Best Movie Stunts! Bruce Lee was the first worldwide asian superstar and this was the film that put him in the spotlight. The highest grossing film in China up to this time, it was also a sensation in the US and all over the world. Martial Arts became a phenomenon. Lee didn’t know it, but when he went to China to make this movie, he was already a star because The Green Hornet was released in China as The Kato Show. This is somewhat of a surprise as it was another TV show that forced Lee to make Fists of Fury in China. In 1971 Lee went to Warner Bros. with an idea for a TV Show he called The Warrior about an asian martial arts expert in the wild wild west. Warner Bros. went forward with the show but without Lee and they hired a caucasian to play the asian in the show and named it Kung Fu. He was so upset that they went with a caucasian for the role that he went to make a real martial arts film to show Warner Bros what he was capable of. The rest is cinema history and in the end, Bruce Lee became a worldwide sensation. Lee also paved the way for the asian stars to come later, like Jackie Chan and many others. In this film, the martial arts was really revolutionary for the day, although, Lee doesn’t have a fight scene until 45 minutes into the film. You can definitely see a difference between him and all the other fighters…Bruce Lee sizzles. He really is electric. I especially liked the fight scene in front of the icehouse (which is hilarious by the way – unintentionally – when he punches a bad guy in the chest and he flies back through the icehouse wall leaving an exact shape of his body in the wall of wood slats) and the fight scene at the end. 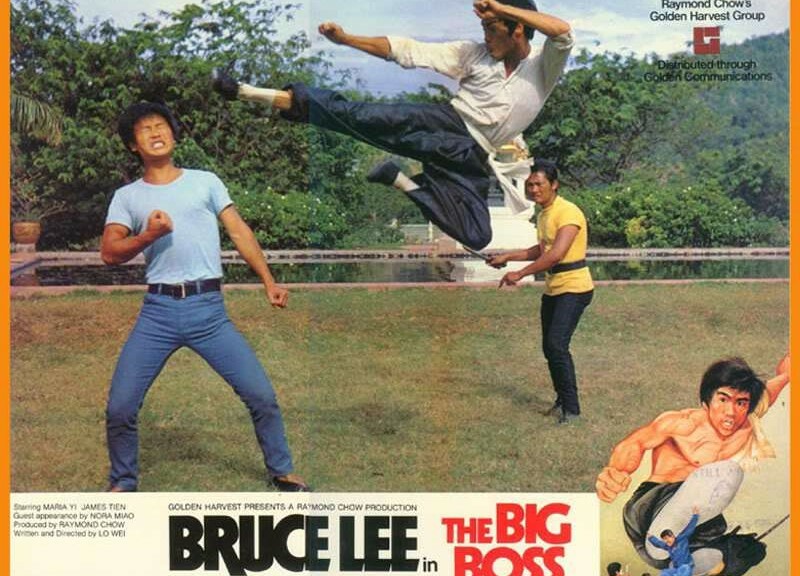 Although, the Big Boss at the end, just doesn’t seem to have even a fraction of the power and strength that Bruce Lee does, but manages to catch Lee off guard several times and slice him up a bit. 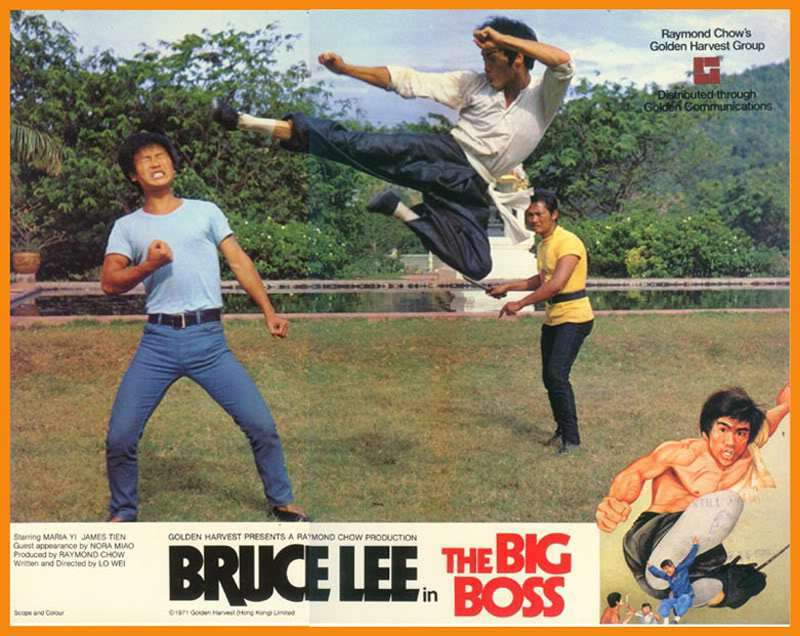 Fists of Fury (The Big Boss) was directed by Wei Lo for Golden Harvest. History of film companies as defined by Wikipedia: Orange Sky Golden Harvest is a film production, distribution, and exhibition company based in Hong Kong. It played a major role in becoming the first Chinese film company to successfully enter the western market for an extended period of time, especially with the films of Bruce Lee and Jackie Chan. At the same time, it dominated HK box office sales from the 1970s to 1980s. Notable names in the company include its founders, the veteran film producers Raymond Chow (鄒文懐) and Leonard Ho (何冠昌). Chow and Ho were executives with Hong Kong’s top studio Shaw Brothers, but left in 1970 to form their own studio. They succeeded by taking a different approach from the highly centralized Shaws model. Golden Harvest contracted with independent producers and gave talent more generous pay and greater creative freedom. Some filmmakers and actors from Shaws defected. But what really put the company on the map was a 1971 deal with soon-to-be martial arts superstar Bruce Lee, after he had turned down the low-paying, standard contract offered him by the Shaws.